The Senate has asked the Central Bank of Nigeria to suspend the ATM Card Maintenance Charges being deducted monthly from customers’ accounts. This is part of a resolution reached on Wednesday during a plenary after Senator Gbenga Ashafa, representing Lagos East Senatorial District raised a motion on excess bank charges in Nigeria. At the end of deliberation on the matter by the lawmakers, the Senate resolved, among other things to “direct its Committee on Banking, Insurance other Financial Institutions to conduct an investigation into the propriety of ATM Card maintenance charges in comparison with international best practices and report back to the Senate”. They also mandated “the Committees on Banking, Insurance and other Financial Institutions to invite the Governor of Central Bank of Nigeria, CBN to appear before the Committee in order explain why the official charges as approved by the CBN are skewed in favour of the banking institutions as against the ordinary customers of the banks”. The Red Chamber also asked, “the Consumer Protection Council to be up and doing in taking up the plight of ordinary Nigerians by looking into the various complaints of excess and unnecessary charges by Nigerian Banks”. In addition, the Senate wants banks to peg 40,000 naira as maximum per withdrawal through ATM, instead of 10,000 naira. 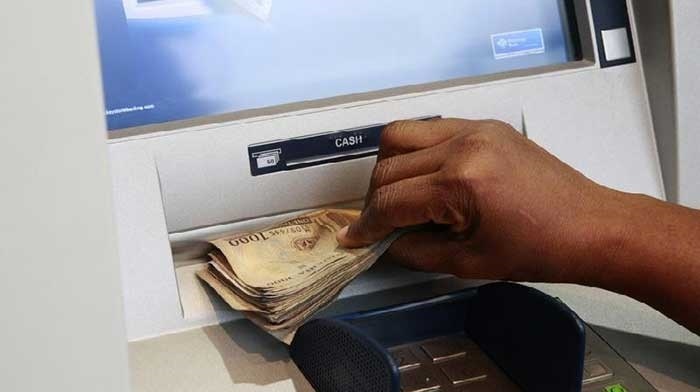 Recall that in 2015, the Central Bank of Nigeria, CBN issued a directive that allowed banks to charge customers 65 naira when they withdraw more than three times in an ATM other than those belonging to their banks. The banks soon ceased this opportunity to make the most of ATM withdrawals by limiting withdrawal per transaction to just 10,000 naira. The implication is that if you wanted to withdraw more than 30,000 naira in an ATM that doesn’t belong to your bank, you must now pay the charges. But that may soon end with the Senate’s intervention on Wednesday. Don't forget to share this story with your friends and family.